Item number 2990/931 from the MOA: University of British Columbia. 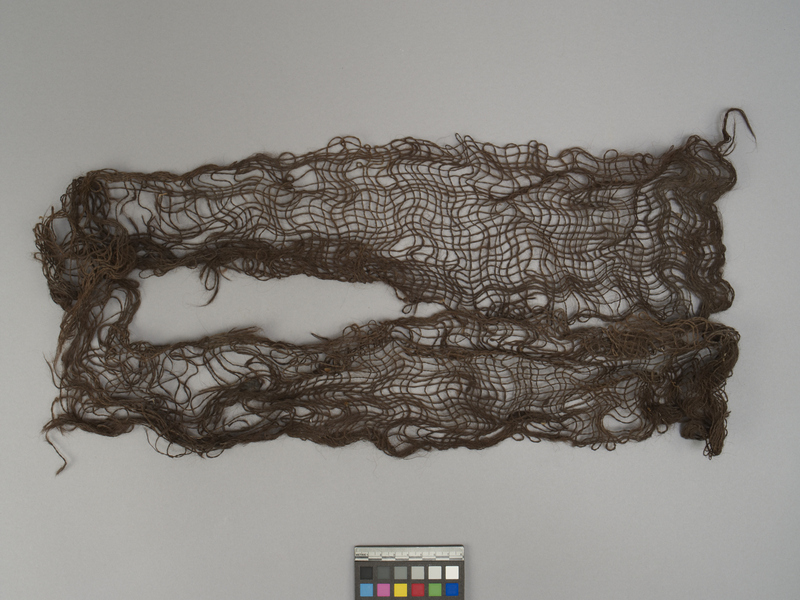 Long fish net made of twisted camelid black wool threads forming horizontal and vertical intersections. Knotted in one side and "S" torsion technique. Well preserved.